Most people go for white sugar in their curd recipes. Not me. I’m something of a culinary rebel in this area. Heck, I haven’t bought white sugar since the nineties. Instead I went for coconut palm sugar. It’s golden brown, low on the glycemic index (ha! I say that like I know what it means!) and unrefined so you know there’s a chance of getting some nutrients with all that sweetness. Feel free to sub in brown sugar (or even date sugar) if you’re not au fait with the coconut stuff. You lose the sunshine-yellow colour of ‘normal’ lemon curd but you gain a rich, subtle toffee flavour. And, if you can, I’d advise you to go with organic lemons. The non-organic kind are usually covered in that gross edible wax stuff they use to preserve shelf life. If I wanted to chew on wax, I’d eat candles. 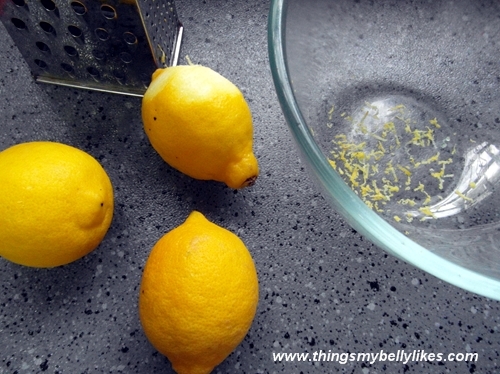 Grate the lemons and mix the zest with the sugar. Set aside. Using an electric whisk, cream the butter. Add the sugar and zest mixture and whisk until thoroughly combined. 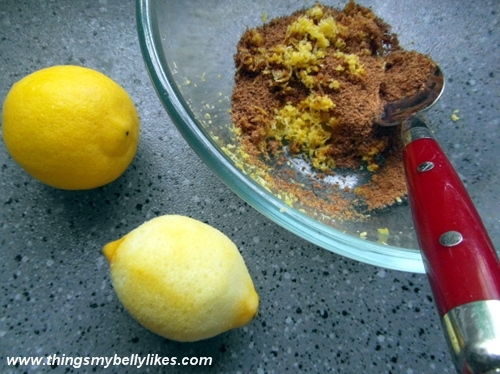 Add the eggs, one at a time, then the lemon juice. Pour the mixture into a saucepan (don’t worry if it’s lumpy and runny) and heat over a low heat, whisking constantly, until it thickens. Unfortunately this takes patience, it took ten minutes before mine was at the nicely gooey stage. Let cool. Once cool, stir once and keep in the fridge until needed. It will solidify further in the fridge to the consistency of a thick sauce. 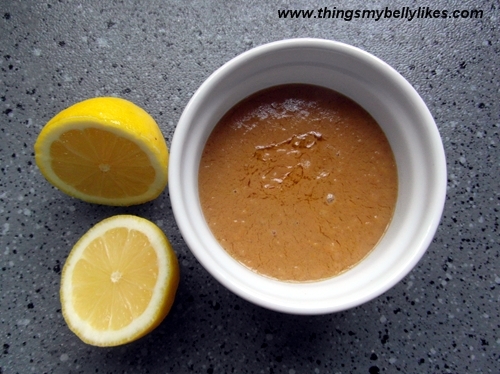 Spread it on crackers or toast, add a dollop to some plain yoghurt for an easy dessert, eat as a topping for ice cream or use it in baking (for lemon cakes etc). I also have a great lemon curd brownie recipe coming up later in the week. You know what I discovered, this goes really good on top of grilled roasted pork, Thank you Ms. Cat. Ya’ll need to visit Things My Belly Likes….real soon. This sounds amazing. We too, avoid refined sugars. Will have to try this. Parfaits maybe? Oh.My.God.Woman. 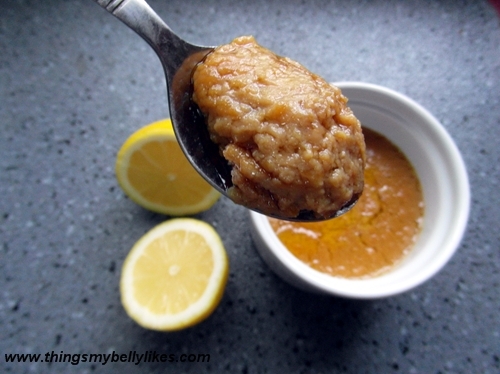 I didn’t think lemon curd could get any better. Must try this. Love the idea of going away from “regular white sugar”. Not too big into coconut but gonna try it with the brown sugar!! Yep, should work just as well…anything but white sugar is a winner!